UFO SIGHTINGS DAILY: Woman Figure Seen During Sunset Over China, March 21, 2019, UFO Sighting News. 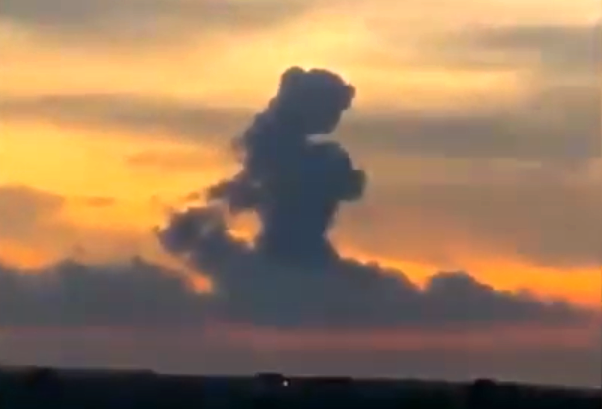 Woman Figure Seen During Sunset Over China, March 21, 2019, UFO Sighting News. Two days people in many cities in China saw something during sunset that took them by surprise...the figure of a naked woman kneeling in the sky. Here is a fact many people don't know...that aliens visualise in such detail that sometimes their mere thoughts cause nearby clouds to take those shapes. Some call it Telekinesis others call it Psychokinesis...moving objects with your mind. Using thoughts only to control the movement of things around you. Aliens however often have a mind so powerful that they themselves don't even know that they are creating some of these cloud formations. They may just be thinking about a distant memory of their past and all the while a cloud near the alien UFO or base will take the shape of the persons figure, face or silhouette. It looks like this alien had a very happy memory of a very beautiful woman. This planet we live on...we share it.